A “low maintenance landscape” is one of the most common requests we receive from prospective landscaping clients. You’ve likely heard the term, though may wonder what exactly a low maintenance landscape is. Generally speaking, the goal is to reduce landscape maintenance time and costs. Though keep in mind, all landscapes will require some sort of maintenance, and if the work becomes too much to do on your own, we offer year-round maintenance programs. One key component to a low maintenance landscape is plant selection. Native plants typically require less work than plants that aren’t local to our region. A significant benefit to native plants is that they have adapted to local conditions as well as local insects and pests. They don’t require herbicides, insecticides, or fungicides, so you can cross time spent spraying these plants off your list. There’s almost no need for them! Also, native plants tend to be drought tolerant, so they require less watering. A lower water bill and more time to spend elsewhere is a winning combination and possibly the deciding factor when choosing plants for your landscape. Below, you’ll find 5 low maintenance plants that do well in Zone 8 and remain attractive throughout the seasons. 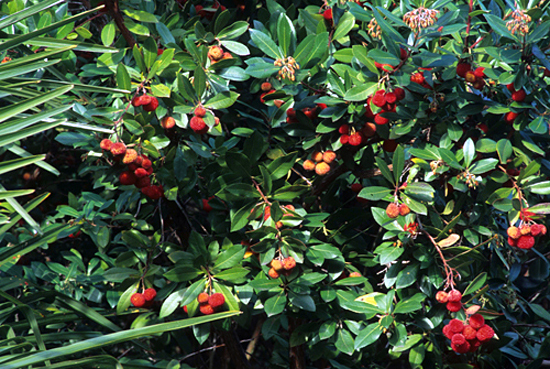 This beautiful and compact shrub produces orange-red fruits when in full flower from October to December. If pruned correctly, the sculptural qualities of its branching and peeling bark will be displayed. It’s drought tolerant once established and attracts butterflies and hummingbirds. This native, evergreen shrub grows in an upright, statuesque manner, and its dramatic leaves make for a strong focal point in the garden. It blooms in winter, exhibiting sprays of yellow flowers when the rest of the garden has faded. 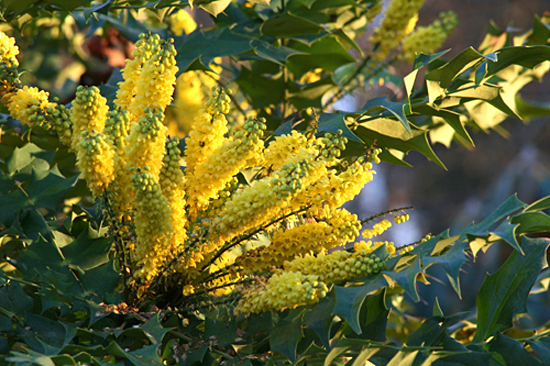 Charity Mahonia is drought tolerant once established and attracts hummingbirds and birds. This handsome and versatile native requires little care once it’s established. 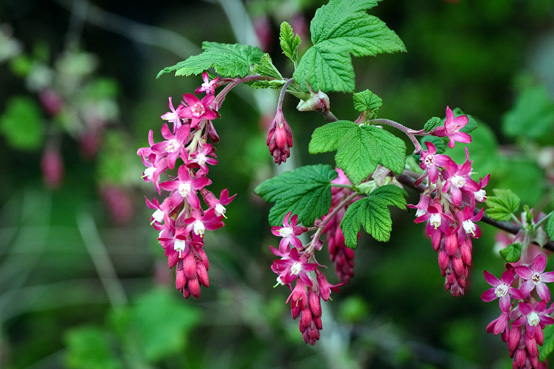 Red-flowering currant is drought tolerant and pest-resistant, and is a great choice for gardeners who are experimenting with natives due to its showy pink flowers. It’s also a good species for rain garden plantings. 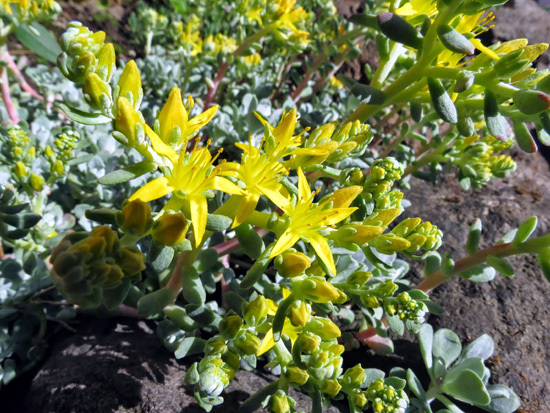 Native to the Pacific Northwest, this sedum offers plump, fleshy, wedge shaped leaves that grow in tight rosettes. They start off as green and turn to shades of red and purple around the edges. Its star-shaped, yellow flowers provide insect nectar and pollen. 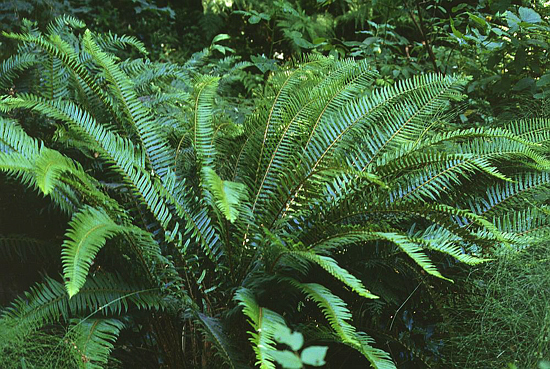 Some may find this native fern to be too common, but Western Sword Fern is a practical addition to any low maintenance landscape. It’s robust and reliable, tolerant of sun and shade, and offers a unique, glossy, leathery toothed foliage. A low maintenance landscape takes thoughtful planning and design, particularly when selecting plants. There are many resources available to you if you’re in the planning and budgeting phase of your landscape installation, such as working with a local horticulturist or consulting with a landscape architect. We’re happy to be a resource to you as well for your low maintenance landscape, so feel free to give us a call at 360-697-3215 or email us info@northwestcl.com.